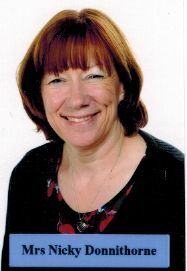 My name is Nicky Donnithorne and I am the Family Liaison worker at our School. I am here to support you as parents and carers, and your child, with issues at home and school that are affecting their wellbeing, and ultimately their ability to learn and participate in school life. My role is to provide pastoral support to families. This may be by providing a listening ear, offering support and advice or by signposting you to relevant agencies or other colleagues in school. Enabling children to enjoy and achieve in their time at Christ Church is a priority of all staff and my role is to support this aim. Parenting is probably one of the hardest jobs we do; asking for help is a positive move and not a negative one. Family Liaison work is an extension of my work in school where I also provide a mentoring service for children. I also support teaching in Year 6 and provide PPA (planning, preparation and assessment) cover in year 1 and 2. The first Wednesday of every term I hold an informal coffee/tea afternoon to give parents the opportunity to meet, talk and share concerns, as well as to form a support network. This time is designed to be a friendly informal session and all are welcome to attend.